Online retailer Flipkart provides exchange offers on many mobiles. In this post we will talk about how to exchange your old mobile (i.e. 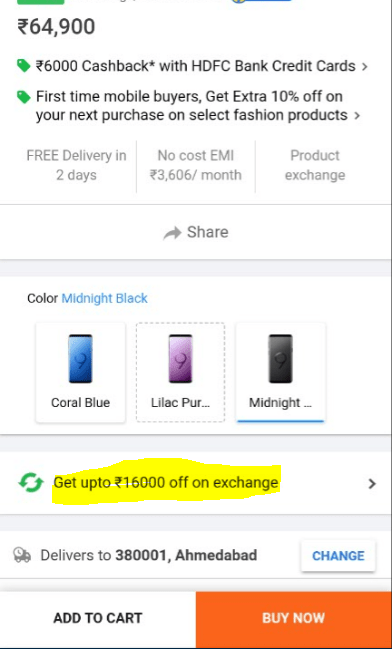 mobile exchange offer) for new Samsung Galaxy S9 Plus. 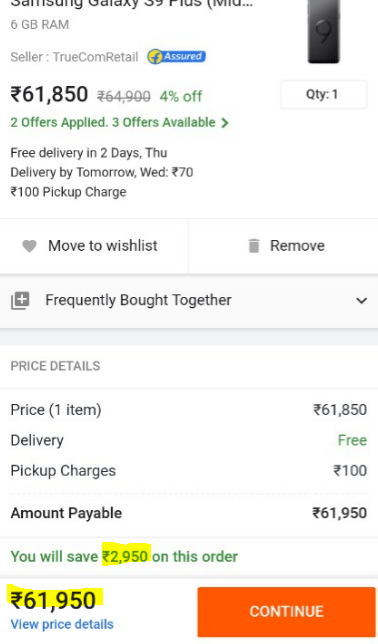 You can buy any other mobile if you like following the similar procedure at Flipkart if it has exchange offer. Go to the product page buy clicking here. Scroll down and click “Get up to ₹ xxxx off on exchange. Select brand name and model of your old mobile. 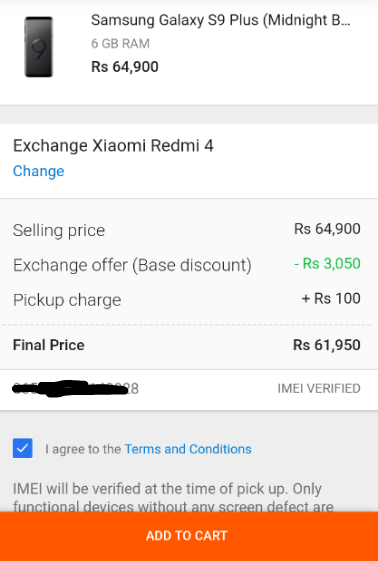 Your exchange value of old mobile will be displayed. 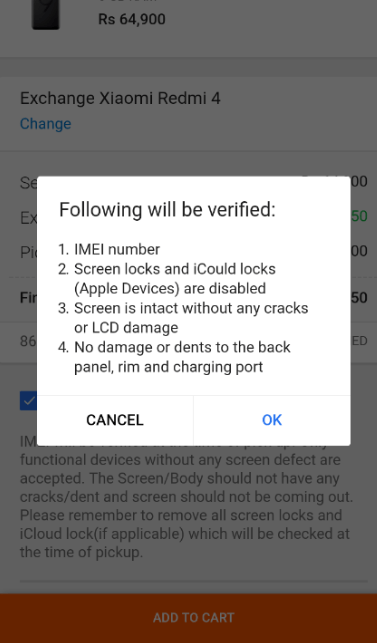 Enter IMEI number of your old mobile and press “verify”. (Dial *#06# to get your IMEI number). Read the pop-up message carefully and press OK. Your final price along with discount will be shown. Press “continue” to checkout. You may only exchange one device at a time. The address has to be the same for pick up and another for delivery. Kindly ensure all your data is backed up and cleared from your old phone before exchange. You may also remove the memory card, Flipkart.com or WS Retail will not be responsible for any misuse as a result. 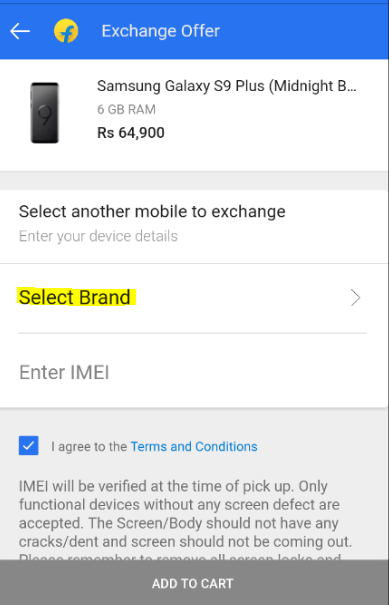 In the event the device is not working or the delivery executive is not able to do an iCloud unlock check or screen lock check/IMEI check due to a phone being “factory reset” the exchange might not go through. When you avail the exchange offer, our courier partner picks up your old device right from your doorstep. It is then shipped to the seller in lieu of the new device. The pickup charge covers pickup from doorstep, packing and shipping of your old device.